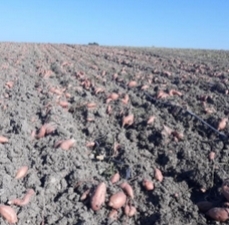 This year the industry faces a shortage of sweet potatoes, Nilay Kamdar from Pan United explains that due to losses in previous years on the product line, growers in North Carolina are left with reduced acreage. 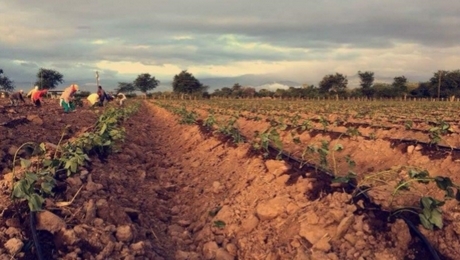 "Additionally, the stressed conditions in June and July saw an overall reduction in yield per hectare with Hurricane Florence also severely impacting the growers. In some instances, final packouts for some growers are likely to be reduced by as much as 50% of original production. There is an expectation that XL sizes may not be available post April, except in extremely limited quantities." Pan United went out in October 2018, visiting growers globally, and have been able to assess the impact of the floods and adverse weather, that their growers and their products have faced. "We are confident that the growers we are working with are least impacted by the floods and have fantastic product that is better than previous seasons. This season, we believe that for our suppliers, our responsibility is to help them achieve the best returns across all the products they grow, and assist in distributing all the produce – in terms of sizes and categories to all of our customers." 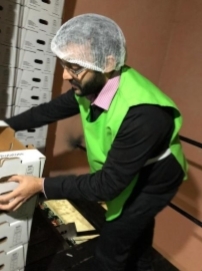 "We believe in keeping our customers supplied during this challenging period, whilst communicating and educating them about the product and season. This ensures that they are paying a fair price for the products they source from us." To that end Pan United have been able to secure enough volumes from their growers in the USA to cover their customer's needs. "We have also been able to diversify our supply chain to include some excellent product towards the end of the USA season from other countries. These countries have been carefully vetted for their deep knowledge and experience of the product and how to best grow it. We are excited about the upcoming months to serve our longstanding loyal customers as well as any new customers that wish to diversify their supply chain to secure supply in this tough season. "At Pan United we have always prided ourselves on having stock for our customer 365 days of the year, 24/7. Our ability to do this is underpinned by our excellent relationships with our suppliers, our deep understanding of our products, our markets and the developments in global markets."